When Gov. Matt Mead recommended recently that the Wyoming legislature not provide expanded Medicaid coverage under the Affordable Care Act, he didn’t mention the proposed demonstration project to expand Medicaid on the Wind River Indian Reservation. Sometimes known as an 1115 waiver after Section 1115 of the Social Security Act, the bill would expand coverage to the poorest Native residents of the reservation at federal expense. It has support throughout the Wyoming and Fremont County health care systems, especially from hospitals that must provide care for people who do not pay their emergency room bills. Although Mead appears to want to shut the door on Medicaid expansion during the upcoming legislative session, he left it open a crack for the poorest people on the reservation. Under current Wyoming law, no state officials can undertake any form of Medicaid expansion without the approval of the legislature. If it passes into law, the bill would create an exception to that prohibition and allow the state Department of Health to create a Medicaid program on the reservation. The department would receive and pass along the federal funding for Native people with incomes lower than 138 percent of poverty. Unlike the usual Medicaid expansion under the Affordable Care Act, the federal government would pay all of the costs of covering people eligible to receive Medicaid under this law without a sunset provision. Besides the income limit, the eligibility criterion is the same as that for eligibility to receive care from the Indian Health Service. People eligible for care through IHS have no deductibles and pay no co-pays, even for prescription drugs. Free medical treatment through the IHS is considered part of the federal government’s treaty obligation to Indian tribes throughout the country. So expanding Medicaid to cover a newly eligible Indian population differs in important ways from expanding care to non-Natives. Under the ACA, the federal government pays all costs of the Medicaid coverage for non-Natives during the first three years, 2014 to 2016. From 2017 until 2019 the percentage reimbursed by the federal government drops gradually until it reaches 90 percent in 2020. If Wyoming chose to expand Medicaid on the reservation, the state would not see its share of the Medicaid costs increase. The 1115 proposal passed the Select Committee on Tribal Relations in Riverton last summer, although two members voted no. The leaders of the Labor, Health and Social Services interim committee handled it gingerly. After hearing testimony in Lander in early November, Labor Health sent the bill back to Tribal Relations, apparently hoping that the select committee could introduce the bill in February. But it does not appear that Tribal Relations can introduce the bill. Any non-budget bill that is to be assigned to a committee and have a chance of reaching debate on the floor must first pass a two-thirds roll call vote. If Labor Health hesitates to sponsor the bill, it may still find its way to the floor. 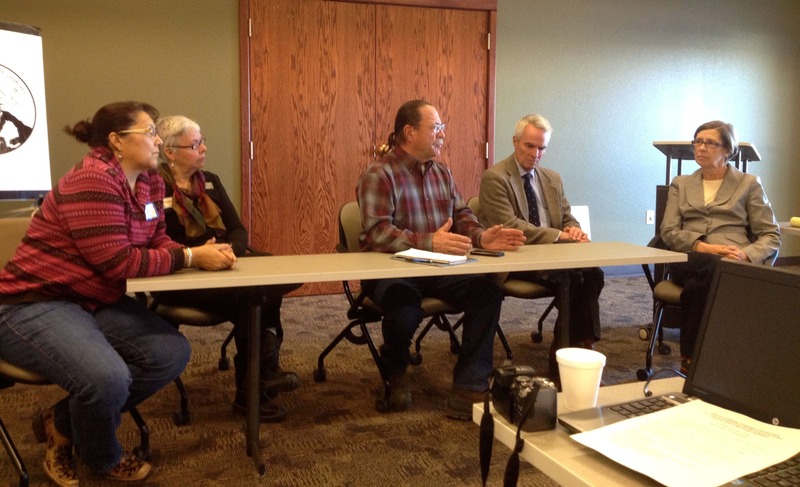 For leaders of the reservation health care community, much is riding on the legislature’s action in February. The people who would qualify for Medicaid on the reservation already have a right to free health care through IHS, but that right is limited by funding and sometimes by the internal bureaucracy of the agency. IHS is only funded to about 45 percent of its annual expenditures under the federal “level of need” funding model. 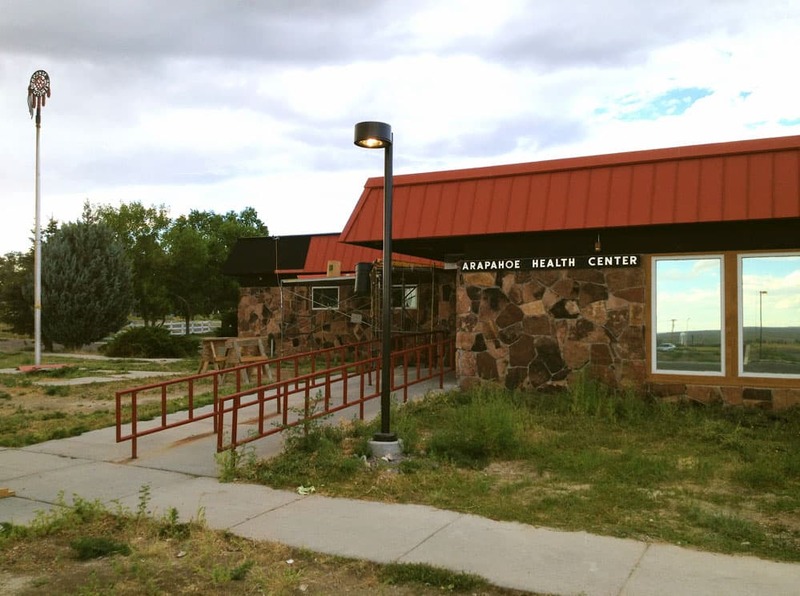 People who want care off the reservation at a hospital in Casper or even Riverton must apply to a board, which prioritizes and sometimes delays treatment. If the reservation had Medicaid treatment available for its residents, they could see a doctor elsewhere, or IHS could bill Medicaid, as it does when patients have medical insurance or Medicare. 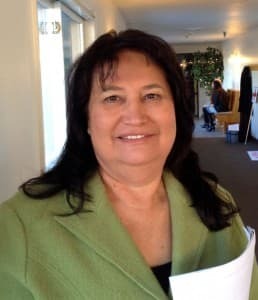 Cathy Keene is Health Programs Director for the Eastern Shoshone tribe. The additional funding could also help the tribes pay for needed programs in mental health and substance abuse treatment. The reservation is working to accept recovering alcoholics and drug addicts into the community, but the resources to get them sober and into a community-based program are lacking, Keene argues. Medicaid would enable them to begin treatment off the reservation and, eventually, to pay for more treatment on the reservation itself. Whether the bill passes depends in part on the costs and benefits to the state and reservation. But political philosophy also plays a role. Sen. Cale Case (R-Lander), one of the two “no” votes on the select committee, knows all the reasons the bill would help his constituents, especially the hospitals. But as a self-described believer in free-market capitalism, he remains opposed. The tribes, on the other hand, are proud of the progress that their system has made. The expanded Arapahoe Health Center hired a new pediatrician and is offering more care to children and pregnant women than ever before. To reach their goal expanding Medicaid on the reservation, and to pursue a legislative agenda ranging from law enforcement to natural resources, reservation leaders invited a half dozen like-minded lobbyists from around the state to put on a training session in how to influence the legislature. Later in the day, he led exercises in boiling a message down to key points that can be delivered as an “elevator speech” and in answering questions on the hot seat in front of a legislative committee. Richard Garrett, energy policy analyst and legislative advocate at the Wyoming Outdoor Council, urged the business councilmen and other top officials to show some respect for the sacrifices that unpaid citizen legislators in Wyoming make, while finding the toughness to fight politely for what they believe. At the same time, Garrett said, people from the reservation need to show up and be ready to speak in the hotel coffee shop or the elevator, wherever they might get 90 seconds with a legislator. In the legislative battle that proponents of Medicaid expansion on the reservation face, that could turn out to be sound advice. — Ron Feemster covers the Wind River Indian Reservation for WyoFile in addition to his duties as a general reporter. Feemster was a Visiting Professor of Journalism at the Indian Institute of Journalism & New Media in Bangalore, India, and previously taught journalism at Northwest College in Powell. He has reported for The New York Times, Associated Press, Newsday, NPR and others. Contact Ron at ron@wyofile.com or find him on Twitter @feemsternews. If Senator Case believes socialism is a failed model, he should consider moving out of Wyoming. Socialism involves taxing the wealthy to pay for services for everyone else. Socialism includes having a highly centralized model for control. Socialism includes state ownership of the means of production. Most of these elements of socialism are present in the state government Senator Case oversees. We take all of the property tax revenues (for education) from the wealthy (industry) and ship it to the State of Wyoming where it is carefully doled out on the basis of a formula for equal funding to every school district (benefitting the poor and taking from the rich). The current state legislature is interested in taking land from the federal government (BLM) in order to oversee its use by local producers (ranchers), which amounts to state ownership of the means of production. The Senator is also a part of creating a highly bureaucratized approach to education. All of this smacks of socialism and when compared to other states, it looks like Wyoming is the most socialistic of all the states in the Union. Cale Case benefits from the 25 million or so dollers that go into fremont county from the tribes every month and hes happy with that! Now what would we call that? This is a question of sovereignty and treaty obligations not something we get from the states. Tribal Leaders need to be more vocal and active with the IHS. Sen Case declares that, “…socialism is a failed model.” Gosh, I am so relieved to know that democracy on reservations has proved to be such a huge success for Native Americans for over a hundred years. I am so happy you cleared that up, Senator!